Keep in mind your brand name should contain words like ‘Corporation,’ ‘Company,’ 'Incorporated,' or 'Limited." Abbreviations for these words are also acceptable. If needed, you can also file an Application to Register or Renew Trade and Service Marks. A Mississippi Registered Agent acts on your half to officially receive and help to process important documentation like state filings, tax forms, legal notices and so on. They must be a resident of the state or a corporation, either domestic or foreign with a physical street address, authorized by the Sec. of State. You can hire an outside professional service and expect to pay up to $160/year, or get a Registered Agent free of charge when starting a corporation through services like Incfile or BizFilings. They handle this along with much more depending on your startup package. 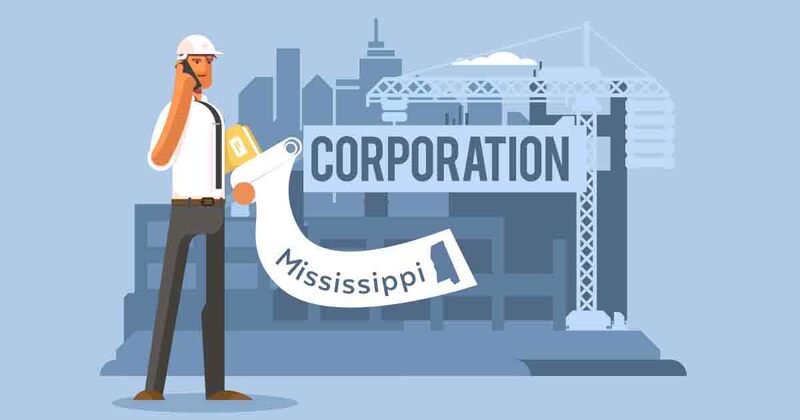 When you start a Mississippi corporation, it’s very important to keep all personal and business assets/accounts completely separate. So don’t take this lightly. Where should you start building the financial foundation of your brand? Who is offering the best overall business services to corporate clients, relative to location and other conveniences? If you think it’ll be helpful, look into this short breakdown of Business Checking Accounts to start brushing up if all this is unfamiliar territory. Where your corporation banks is an important move, which is why it should be discussed in your initial shareholder meeting. Bookmark the Jackson Small Business Administration and the state’s Business Services. For help with this step, consider professional business license research packages that handle the legwork for you.